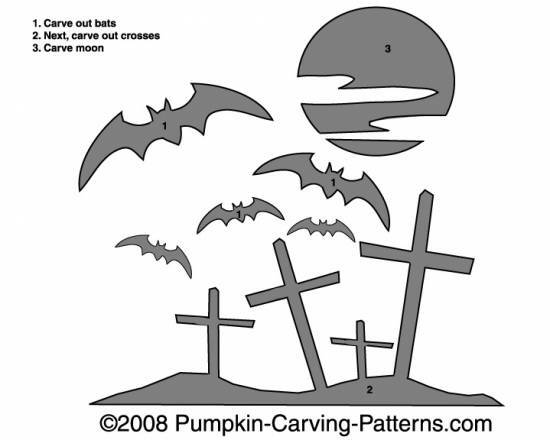 Are you too scared to carve the spooky graveyard? Filled with flying vampire bats and a cloud covered moon, the gravestones are falling over because the ground has been moving! Is something coming up from the grave?